Relive’s quite athletic team includes (from left to right) Ralf Nieuwenhuizen, Yousef El-Dardiry, Joris van Kruijssen, Ronald Steen, and Lex Daniels. A new, free app lets cyclists and runners relive their athletic adventures and show their experiences to friends, relatives, or the public. Built by Relive, a Netherlands-based startup company, the Relive app lets athletes share their rides and runs via virtual 3D video tours on the Esri World Imagery basemap. Combining performance tracking data with digital maps from Esri, Relive makes short 3D animation videos that exhibit about a minute’s worth of highlights from a runner or cyclist’s trek. 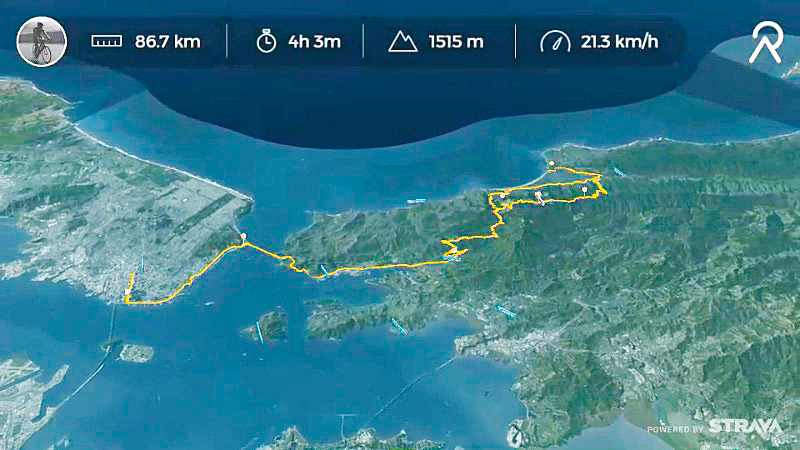 The animation includes the route the athlete took (traced in yellow on the basemap), metrics such as terrain elevation and the length and average speed of the ride or run, and pop-ups with photographs taken during the activity. 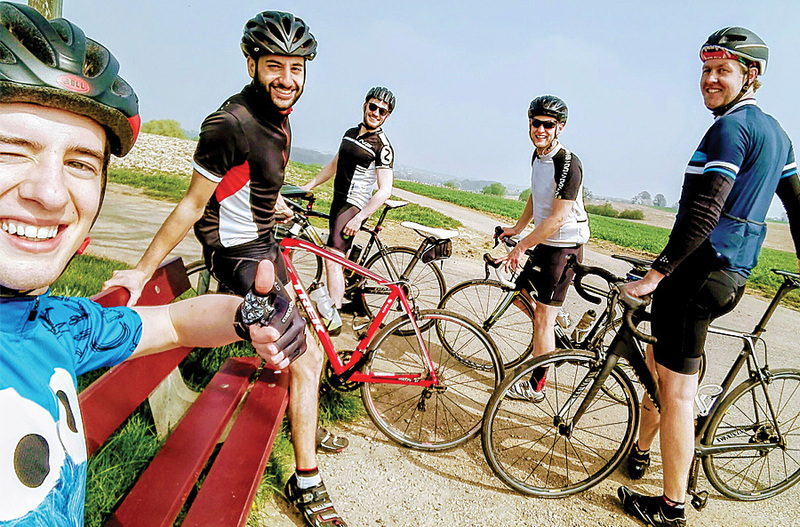 Relive, which currently has 1.2 million users around the world, creates the 3D video stories of bike rides and runs using GPS data collected from its users’ activity tracking apps, such as Strava and Garmin Connect, as well as their personal photographs. “People love to share [the videos] with their family and friends,” said Joris van Kruijssen, who cofounded Relive with developers Lex Daniels and Yousef El-Dardiry. The three friends came up with the idea for the Relive app during a bike trip they took in the Canary Islands in 2016. “We were cycling in Tenerife and figured it would be amazing if there was an app to capture our cycling holiday in a movie,” said El-Dardiry, now Relive’s technical lead. Videos display statistics about cycling trips and runs, including the distance covered and how long it took. Talk soon turned into action. After fleshing out the idea during a barbecue in Tenerife, Daniels and El-Dardiry began writing code, and the app started to take shape later that same day. Back home in the Netherlands, they built what van Kruijssen called “a good working prototype” within two months and shared it with a few friends. “After a week, a thousand people were using our app,” he said. During the app’s development phase, El-Dardiry searched for digital map technology to visualize the adventures. 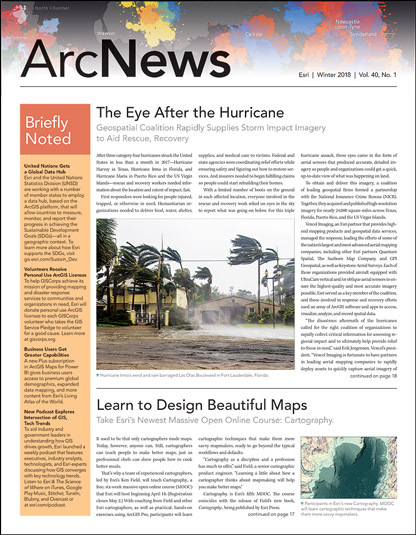 He found Esri’s World Imagery basemap in the Living Atlas of the World to be a great fit. Using the Relive app, athletes can share their rides and runs via virtual 3D video tours on the Esri World Imagery basemap. During a recent trip to San Francisco, California, van Kruijssen, an avid bike rider, said he tracked his performance metrics as he cycled across the Golden Gate Bridge to Marin County. Within a half hour after his trip, he had used the Relive app to create a video of the journey to send to his mother in the Netherlands. “I immediately shared it with my mom to show her what great views I had,” he said. Relive is already a success, with more than 200,000 new videos being made each day around the world, from countries as distant as South Korea and Brazil. The company recently launched a premium service as well called Relive Club, which lets paying members do more with their videos, such as add music. Maps, however, are a staple in the app. And because Esri’s digital maps are scalable, the Relive founders feel confident that their company can continue to grow. 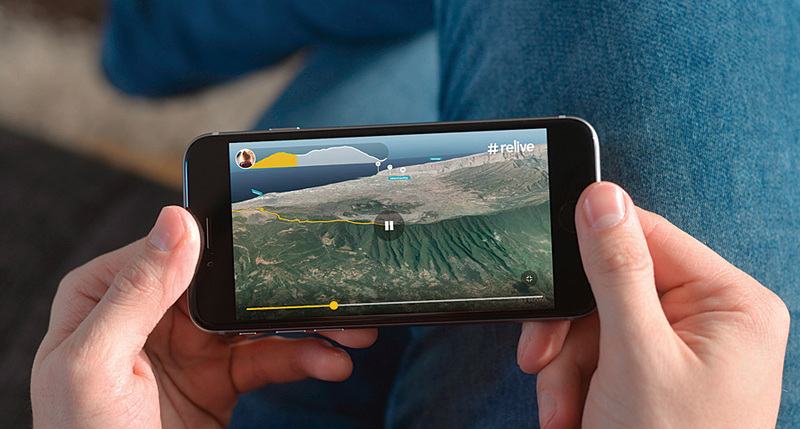 Watch a Relive video of a cycling trip, and make your own virtual tour with Relive.